Ogose Plum Blossom Forest is one of Kanto's big three plum blossom groves. To be honest, it doesn't hold a candle to the biggest one in Mito City, but it is very pretty and worth a visit if you are in the area. 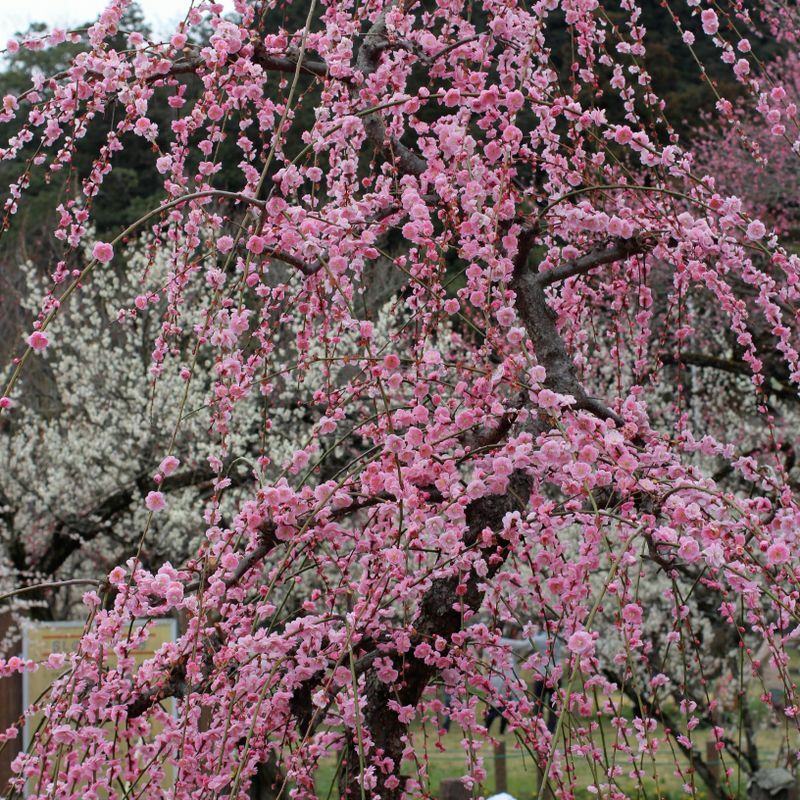 During the period that the plum blossoms are in bloom the park costs 300 yen to enter. At other times of the year it is free. Parking is free in the area too. They host a plum blossom festival during the blooming season too. There are several food stalls, a small flea market, bonsai and plum blossom trees for sale and live entertainment. The park can get very crowded during the peak of the blooming season. They request that people come by public transport where possible, but it is quite a journey by public transport with the nearest station 40 minutes walk away. But you can get a bus from Ogose Station.